No matter what industry your business services, it is important to keep your business clean and sterile, and you can only do so with the proper cleaning supplies! Medical and restaurant facilities require cleanliness at all costs to keep customers and employees healthy. However, other businesses like hotels, corporate centers, and industrial facilities must keep their businesses clean to portray an excellent image as well as prevent hazardous dirt. National Dust Control provides the best of the best when it comes to commercial cleaning supplies. We believe that a clean business attracts a wider range of clients as opposed to an average or below average quality business which does not invest in high-grade commercial cleaning supplies. 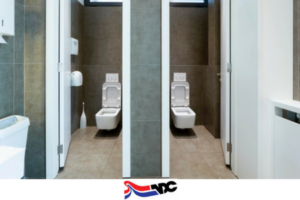 Investing in cleaning supplies for the restrooms will keep horrendous odors away from the facilities, providing customers/visitors and employees with a respectable environment. Contact National Dust Control today and we will be happy to give you a quote on our service. We service the New York Metro/New Jersey areas and we also feature high-quality service for floor mats. If you call us at 800-238-2387, you will get in touch with a floor mat professional which will be able to price out an affordable package for your business, focusing on the items necessary for your company to thrive. Our drivers will deliver your products to you at a time that you would prefer, based solely around your schedule. We focus on your needs. You will forget about all the hassles and struggles with cleaning supplies, floor mats, and bar towel and aprons through our quality service!